Identity’s a tricky thing in the annals of rock music. Whether David Bowie’s chameleonic mindfucks in the ‘70s, Dylan going electric, or Lou Reed’s perpetual metamorphoses, rock thrives on persistent flux in self-presentation. 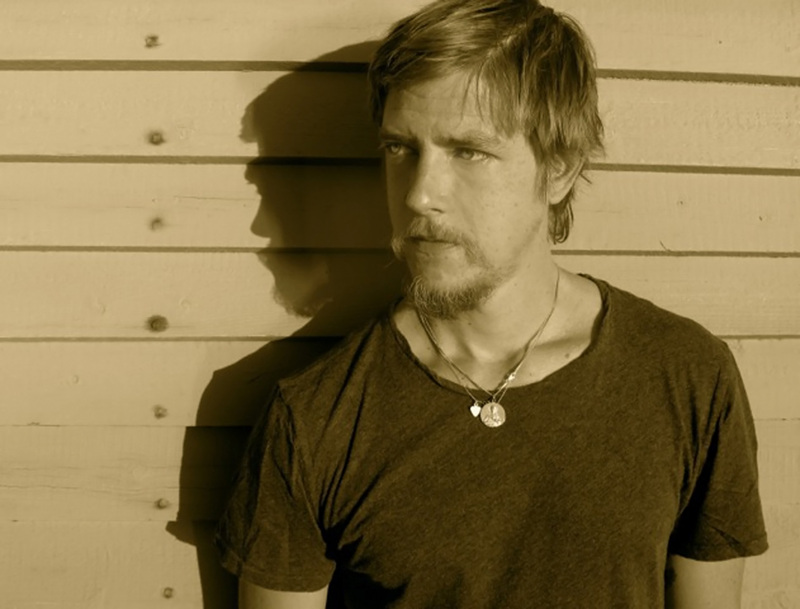 Where does Paul Banks fit into this equation? As Interpol’s frontman, he’s largely been a cipher. While certainly not lacking in charisma, albeit in a steely and often sardonic manner (his dry, wicked sense of humor is largely lost in interviews), he’s often polarized and confounded listeners and critics alike. Banks’ first ostensibly solo album found him assuming the alter ego of Julian Plenti. 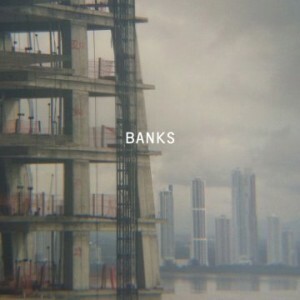 He jettisoned the nom de plume for this semi-eponymous album, Banks, credited to Paul Banks (as was its preceding EP). 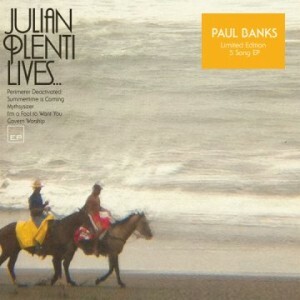 And where 2009’s Julian Plenti Is…Skyscraper was culled largely from songs pre-dating Interpol (as far back as the mid-’90s), Banks – with all new material written in the past few years (with the exception of “Summertime Is Coming”) – is a vivid documentation of Banks in the here and now, and his most abjectly personal work to date. But aside from the peripheral aspects germane to every artist, listening to Banks is a revelation, a catharsis. From the pulsating opener “The Base,” which finds Banks catatonically crooning, “Now and then I can see the truth above the lies/Now and then, oh, I feel those beauties this life belies.” It’s one of his most disarmingly direct lyrics to date, heartfelt in a barbed manner far removed from his often detached anomie with Interpol. The two instrumental numbers are crucial ingredients to this gestalt puzzle. 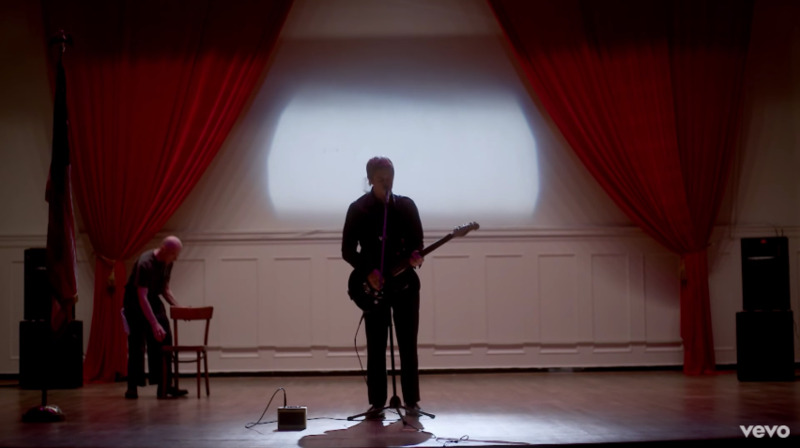 The elegiac “Lisbon,” which sounds like Mogwai in subdued mode, is a welcome come-down from the invective gravitas of “Young Again,” while “Another Chance” is a schizophrenic, near chamber-pop ditty, with a contrite monologue from Banks’ friend Sebastian Ischer’s film Black Out, as the protagonist pleads, “There’s something wrong with my brain” as if it’s simultaneously a plea for forgiveness and a scathing personal indictment. Tonight : Paul Banks On CBS' "Late Show WIth David Letterman"
PAUL BANKS “Julian Plenti Lives…” EP Out Today + MP3!